The All-in-One Guru Screener, one of our most popular Premium features, allows you to screen for stocks based on your own investing strategy. Although we first launched a new version of the Screener in March, we have made several changes to the layout over the past month. Warning! GuruFocus has detected 7 Warning Signs with BRK.A. Click here to check it out. See who joins Facebook, Alibaba, Five Below, and Autohome on this stock screen based on the investing strategy of Berkshire Hathaway CEO Warren Buffett. Berkshire Hathaway (BRK.A, BRK.B) is a multibillion-dollar holding company led by Warren Buffett. Bolstered by its insurance businesses, including GEICO, the company has created room to invest in other industries such as railroads, clothing, and jewelry. Berkshire Hathaway shareholders have been rewarded heavily throughout the company's history, with shares consistently trading at over $300,000. In July 2018, Berkshire Hathaway reported it granted top employees more flexibility to spend cash by repurchasing shares. The decline of advertising gradually turned the newspaper industry “from monopoly to franchise to competitive,” the billionaire chief executive officer of Berkshire Hathaway Inc. said in an interview with Yahoo Finance. “The world has changed hugely,” Buffett said in the interview with Yahoo Finance, which will serve as the livestream host for Berkshire’s shareholder meeting. Berkshire’s BH Media, which owns papers across the country, has been cutting jobs to cope with declining advertising revenue. Want to invest like the great value investor? These stocks might appeal to you. Kraft Heinz Co's incoming chief executive, Miguel Patricio, is indicating a change in strategy for the packaged food company that could move it away from the aggressive cost-focused culture that has been in place since the company was created in 2015. Patricio, a 52-year-old Portuguese native who will take over the helm of the world's fifth biggest food company from July 1, said he plans to focus more on efficiency, investing in brands and growing sales organically at a company that has been reeling from a $15.4 billion writedown on some of its brands. Kraft Heinz's focus on cost-cutting and interest in scoring a big acquisition have been key to the company's strategy under management installed by Brazilian private equity firm 3G Capital. Warren Buffett (Trades, Portfolio) has a reputation as someone who invests forever, yet as Mary Buffett and David Clark explained in the final section of "Warren Buffett and the Interpretation of Financial Statements: The Search for the Company with a Durable Competitive Advantage," there are times to buy and times to sell. Warning! GuruFocus has detected 5 Warning Sign with KO. The investment world is full of myths, so separating separating fact from fiction is vital if you want to succeed over the long term as an investor. Charlie Munger (Trades, Portfolio), vice chairman of Berkshire Hathaway (BRK-A)(BRK-B) and Warren Buffett ( Trades , Portfolio )'s right-hand man, has spoken about these investment misconceptions at length before. Warning! GuruFocus has detected 7 Warning Signs with BRK.A. Click here to check it out. Has Buffett Got It Wrong on Brexit? Ever since the June 2016 referendum, the subject of Brexit has never been far from investor's minds. It certainly was on Warren Buffett (Trades, Portfolio)'s mind when Berkshire Hathaway (NYSE:BRK.A)(NYSE:BRK.B) Insurance Group applied to set up a unit in Ireland to allow it to continue to service clients in Ireland and the European Economic Area following the referendum's conclusion. Warning! GuruFocus has detected 7 Warning Signs with BRK.A. Click here to check it out. It may come as a surprise just how many subsidiaries Berkshire Hathaway - a multinational conglomerate and holding company led by Warren Buffett - actually owns. ), Berkshire Hathaway has certainly cemented itself into the international market as one of the biggest public companies out there. In addition to its pricey shares, Berkshire Hathaway is one of the top performing companies in the market, and either fully owns or owns controlling interests in dozens of major companies - including the likes of Geico, Fruit of the Loom and Dairy Queen. Kraft Heinz named Miguel Patricio as CEO, succeeding Bernardo Hees. Patricio's appointment is effective July 1. He comes from Anheuser-Busch InBev, where he served as global chief marketing officer from 2012 to 2018. Kraft Heinz CEO Bernardo Hees is leaving the company. Kraft Heinz has been weighing sales of some of its brands, including Maxwell House and Breakstone's, to overhaul its portfolio. The departure of Kraft Heinz KHC CEO Bernardo Hees follows a string of headaches for the consumer packaged foods company over the last year. 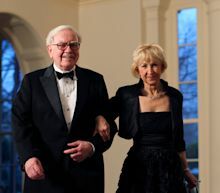 Billionaires Charlie Munger and Warren Buffett are a match made in heaven. After working together for more than 40 years, the two still hold plenty of respect and admiration for one another. As vice chairman of Berkshire, Munger says there's one quality of Buffett's that he holds in especially high esteem: His ability to be a lifelong "learning machine."